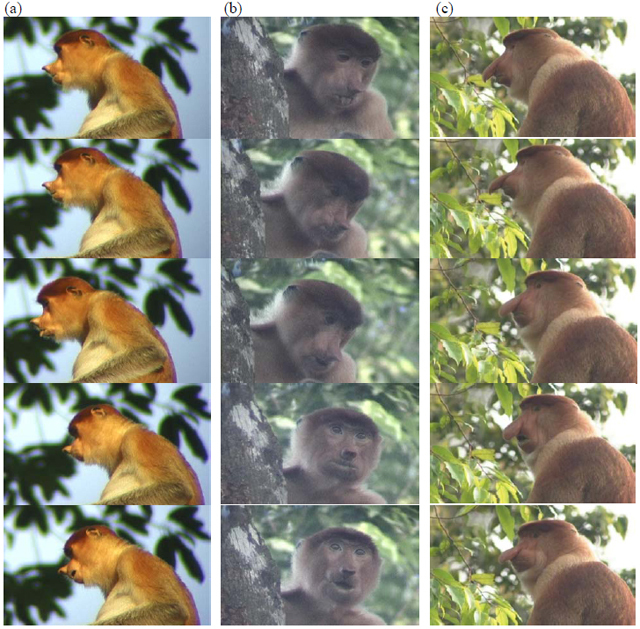 Regurgitation and remastication in the foregut-fermenting proboscis monkey(Nasalis larvatus). Matsuda I, Murai T, Clauss M, Yamada T, Tuuga A, Bernard H, Higashi S.
'The Natural History of Proboscis Monkey' is a timely publication and particularly relevant, as, apart from presenting novel research data on the species, it also highlights some of the areas where urgent action is needed to safeguard the long-term survival of proboscis monkeys. This includes translocation of highly isolated populations, and re-establishment of forest and river corridors to compensate for the many fragmented populations of proboscis monkey; and it recommends specific research priorities going forward, including long-term monitoring of population numbers and distribution, and more accurate habitat and land use classifications. 'The Natural History of Proboscis Monkey' also attempts to reach out to a wider audience, by presenting information that the general public or wildlife enthusiast may be interested in. From an eco-tourism point of view, the importance of the proboscis monkey as a flagship species cannot be underestimated, as unlike many other charismatic wildlife species, such as the Bornean Orang Utans and Bornean Elephants, the proboscis monkey is an easily observable animal with very high encounter rates in the wild. Hence, contained in this book is useful information of recommended places to visit to observe the proboscis monkey as well as recommended guidelines for observing them so as to minimise disturbance and to promote sustainable tourism. Biol Lett. 2011 Mar 30.